With the Festival quickly approaching, we thought you might enjoy catching up with one of our musicians, cellist Brian Thornton, who is in the throes of a pretty exciting project back in his hometown of Cleveland. (You may remember that Brian is going to be a featured artist this summer, performing on several of Notable Encounter Insights this summer and as a soloist with the Festival Orchestra on July 22.) Here’s what’s going on with Brian, in his own words. My high school cello teacher, Lev Aronson, was one of the most influential cello teachers that ever lived. He taught Lynn Harrell, Ralph Kirschbaum and John Sharp, the principal cellist in the Chicago Symphony, and I am recording a CD as a tribute to him. This project will also include a concert tour of synagogues and temples, and will be in tandem with a book tour with Frances Brent, the person who wrote The Lost Cellos of Lev Aronson, who came to The Maltz Museum when I played there last year. My final part of this project in honor of this great teacher is a scholarship fund in his name at Southern Methodist University, where he taught for many years. 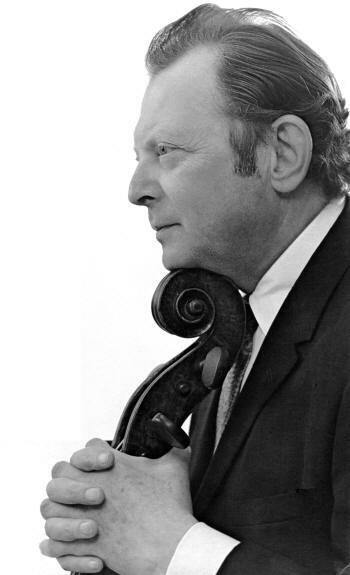 He was a Holocaust survivor, and I feel like this is my chance to spread his thoughts and memory to other people and cellists so he is not forgotten. While he was in the concentration camps, he actually did not touch a cello for four years, but he sung his favorite cello concertos, each twenty minutes long, in his head to measure the passage of time and enable him to endure the horrific conditions. The Saint Saens, Haydn C major, and Boccherini cello concertos were his favorites. The recording is already in the works, and I have hired a fabulous recording engineer, Thom Moore at 5/4 Productions, who has won five Grammys in the last few years, and has already been a driving force in this project. We are scheduled to record such works as “Kol Nedrei,” and “From Jewish Life” by Ernst Bloch, as well as some pieces that Lev Aronson actually arranged and composed himself! I have the blessing of his daughters to go ahead with the recording, and it is scheduled to happen in Oberlin on September 10th, 11th and 12th of this year. My good friend and fabulous pianist Spencer Myer, has agreed to be my pianist on the recording. He was a prize winner at The Cleveland Piano Competition several years back, and is a very sensitive and beautiful player – someone who matches this idea very well. I’ve started an online fundraiser to assist in the recording of Lev Aronson’s music. The fundraiser is through the website Kickstarter.com, and it is a platform in which interested parties can contribute to artistic endeavors. While the National Endowment for the Arts gave away approximately 200 million dollars last year to arts organizations, Kickstarter.com raised even more than that, something in the range of 250 million dollars. It is also a great way to get many people interested in an artistic endeavor outside of the regular concert goers route of advertising. Click here for the link. Please check it out and send it along to others that you think may be interested. Brian Thornton is a musician of many interests. 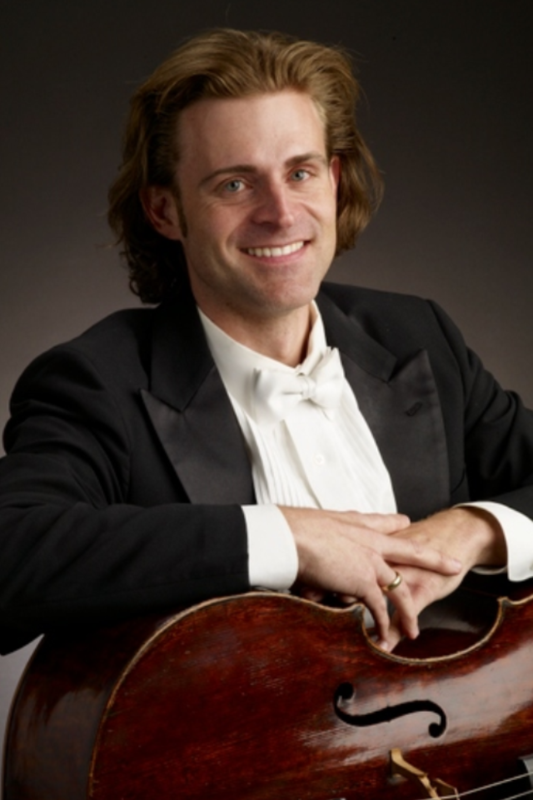 As cellist and conductor, he has performed in hundreds of venues across the world, from The White House in Washington,D.C., to the Great Hall of the People in Beijing,China. He has performed as soloist with over 30 orchestras, and conducts his own ensemble located in Solon,Ohio. Having a special interest in modern music has led him to premier works of little known to well known composers such as Donald Erb and John Adams. Brian has taken part in premiering over 100 new works of music, either as a soloist or in chamber ensembles. Brian especially enjoys taking part in concerts that benefit special causes, such as the Muscular Dystrophy Society, and took part in concerts in Cleveland for the Red Cross for earthquake and tsunami relief in Japan. As a teacher, Brian has given master classes from California to Germany, and enjoys passing on the knowledge given to him by his teachers, Lev Aronson, Lynn Harrell, John Sharp and Steven Geber. Brian has been a Yamaha Artist since 2010, and makes frequent trips to Japan to teach and play outreach concerts there. He spends his days enjoying time with his wife Jennifer Woda, a mezzo-soprano, and his daughters, Maya and Madelyn. Evenings are spent performing with the world-renowned Cleveland Orchestra, where he has been in the cello section for 17 years.